One of the things I love most about December 31st is the end of year countdowns and reviews. It's fun to read or watch the top 10 moments in sports, films of the year, songs of the year and celebrity news stories that people compile. So it's not surprising I like to do the same. If you are reading this, then you likely follow at least one of my blogs. Now you have the opportunity to see what else I typically write about. As you read and review the past year entries, take notice of the other articles. Maybe you'll find something else that interests you. After reviewing this compiled list, I have to say I'm impressed. So much so, I wish I could time travel back one year and show myself what neat things I'll be writing about. Of course how awesome would it be to do that next year. But unless I see my future self in the next few minutes, I'll assume it's not going to happen...... Nope, I guess I'll have to wait for next year to see what cool things I write about in 2013. Thanks once again to all my readers, subscribers, and supporters. I love writing, but you make it so much more enjoyable and what keeps me motivated. Season 13 recap of Biggest Loser begins. I'm excited for the new season!!!! Created a mini dice related game. J.A.Scott (Music) - "Fools Fantasy"
Season 13 article of the Biggest Loser, describes how upset I am with the season!!! A brief review of the Peter Davison era. J.A.Scott (Music) - "Hot Sauce"
J.A.Scott (Photography) - "Streets & Stores"
What I love about the girl who doesn't love me. Stopped having fun blogging this season. J.A.Scott (Poetry) - "Moonlit Walk"
Poetry month! One poem a day. J.A.Scott (Photography) - "Fire House"
Visited Helenville Fire Station for a photo shoot. A trip to Europe with my friend Dan. J.A.Scott (Poetry) - "Goodbye My Friend"
When a friend died, I wrote a poem for her. Tegan - Who is Tardis Mechanic? Wrote a spoof article involving my Rock Band group. I was able to bring my camera in and take photos. J.A.Scott (Poetry) - "Social Butterfly"
It can be hard to catch the eye of the one you adore. J.A.Scott (R.a.n.t.) - "Ant: Us vs Them"
I relaunched my r.a.n.t. topics. Carrot Sticks - What Are Your Fitness Inspirations? Tried writing a new inspiration series for weight loss. A brief review of the Colin Baker era. J.A.Scott (R.a.n.t.) - "♫Whistle While You Work♪"
How I acquire second hand CD's and spiff them up. J.A.Scott (R.a.n.t.) - "It's Nothing Personal, It's Just Business"
What I hate about big business reasoning. J.A.Scott (Photography) - "Picture Rock Cave Trail"
J.A.Scott (Photography) - "Muskego Park"
J.A.Scott (R.a.n.t.) - "The Newest Odd Couple"
In an update of the Odd Couple, I could play both parts. I hosted a chocolate taste test with my sisters. J.A.Scott (Poetry) - "You Will Never Read This"
Likely the one intended will never read this. J.A.Scott (R.a.n.t.) - "Too Shy, Shy"
Problems I have with trying to associate with others. Pick me up and throw me away. J.A.Scott (R.a.n.t. / Poetry) - "A Poets Football Game"
My imagination of what a football team comprised of poets would be like. 462 - Tegan -Dr. Who (The Early Years) - Part 69 "The Sixth Doctor In Review"
398 - Tegan -Dr. Who (The Early Years) - Part 58 "The Five Doctors"
104 - Tegan -Doctor Who (TV Movie) - Part 76 "Doctor Who"
Having exposure to a fitness gym since I was just out of High School, has sometimes giving me a rather myopic view of where to work out. 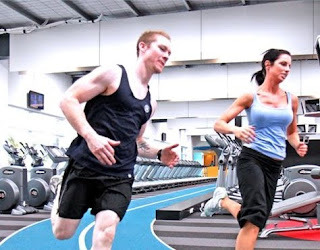 As an example, I recently saw an online article with the main title asking a question, "Where Do You Like To Workout"? Immediately I was, "Okay, the gym. Where else"? But I'm not really THAT limited in my thinking. The thought only lasted for a second or two before the light finally turned on. 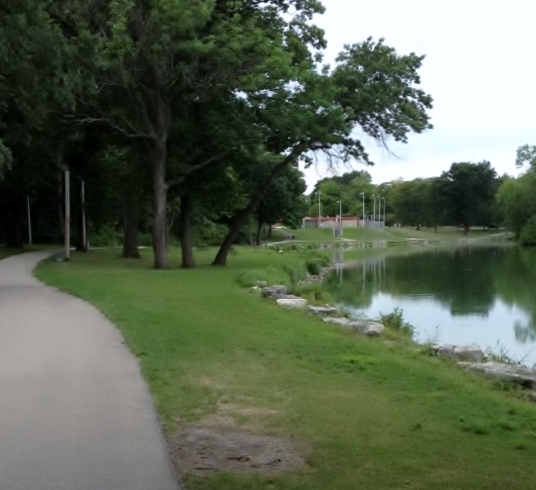 Sure, the gym was certainly one viable option, but there were many choices listed; the park, the beach, a country road. These were just a few of those listed. But I have to admit, this past Summer I've gotten better with doing things outside, especially when it comes to fitness. Close to where I work is a flight of steps I like to walk up and down. I recently bought a used bike and have been riding that around town. The park closest to where I live has also been a favorite of mine for running. I've never quite measured, but there is a pond I like to believe is one full mile around. I say 'like' to believe because I still have a problem running more than just a mile. Maybe there is a 'wall' I need to break through yet? Or is one mile seriously the limit of what I can do? Every once in a while I'll even jog/walk around the large block I live on, though I'd hardly say it's a favorite past time of mine. So the question is now thrown your way. Where do you like to workout? Pros: There is no feeling greater than being in the refreshingly open outdoors. In the park you'll likely see local flora and fauna. At the beach you can hear the waves crashing against the shore as you jog along. Spending time in the sun can do wonders for your well-being and demeanor. Perhaps you may even smell someone grilling out. Okay, food may not be the first thing you want to think about when working out, but you've gotta admit, nothing beats the smell of the grill. Cons: As I discovered this weekend, it's no fun to run in the pouring rain. That's the biggest problem I have when it comes to working out, outdoors. Same can be said for when it's freezing cold or outrageously hot. Also you have to be creative to find new ways to motivate yourself. If you're not a creative person, you may find this challenging. One mans fallen log, is another mans Step Pilates. But one mans Step Pilates is just another mans fallen log. One of the first things I ever did to try and keep physically fit, was to join a gym. Just out of High School, most of my friends belonged to Bally's. Back then there were many incentives to signing up your friends, and I took advantage of this. Or should I say one of my friends took advantage of this? Actually, I really enjoyed it. Spending time with friends as we 'pumped iron' seemed invigorating. Of course we were still young and I can recall a couple of incidents were someone was 'pants-ed'. Oddly enough, I don't recall that ever happening to me. Either I was lucky, or I've blocked it out. I'm not sure about anyone else, but there's nothing else like the physically fit high you get after a workout is done. The mind feels invigorated and the body feels rejuvenated. I still get this feeling when I work out. 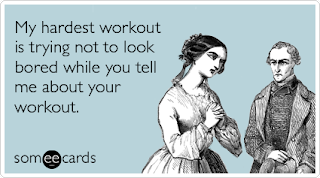 However, between my post High School years and my marriage years, I stopped going to the gym. As a result of that, (mixed with other factors), I gained the major portion of my weight. Having returned to the gym has helped me in reducing the size of my waste line. Sure, the weight isn't melting off as fast as I'd like it, but at least I'm not gaining more weight. Working at the local gym helps to motivate me. Being around others who (at least in part) have the same goals as me helps. Also, everything is right there. When I'm done, I can sit in the hot tub or steam room. I can run on the track or use the weights. When I'm done, I can shower right there and be ready for whatever else the day has provided for me. When the gym isn't picked up or cleaned properly, the locker room can get nasty. Also, what's the deal with older guys walking around a la Garden of Eden? Though it's nice to have a shower room readily available, I'm certainly not one for sharing the experience with others. Another con I can think of is sometimes having to wait for a machine that's being used. As I normally use the track more than anything, this isn't usually a problem for me. But last night I used Foursquare to check into Blast Fitness and found this con listed. Anon. - "This is a fitness gym, not a pick-up joint". I hadn't realized this was a problem. Ladies, is this truly a problem for you? So what are your pros and cons regarding working out at the gym? Let me know and I'll include your thoughts. In all these topics, I want to highlight both the positive and the negatives. This isn't a final list, and I'm certain to find more topics as I go along. So the question I ask all my readers, what positively or negatively affects you? Also, would anyone be willing to voice their opinion on any of these topics for my articles? This week the contestants are going to put the excuse "I can't lose weight on vacation" to the test. As a test, the contestants are going to Hawaii. Cue the Go-Go's ♫Vacation♪ and before long the contestants are relaxing in the water. Dolvett puts a stop to that quickly and tells them if they are not moving, they are not losing. To get the contestants moving more and inspire them, Bob and Dolvett introduce them to Bethany Hamilton. She's a professional surfer who's had her arm bitten off by a shark. Despite that, she's never given up, and continues to surf. She challenges the other contestants to surf with her. A few of the contestants are somewhat reluctant, but they all get out in the water. Chris, Kim and Kimmy have some surprising success. Afterwards, Kim is feeling isolated and alone so heads to the gym while Kimmy, Megan and Chris are eating while Conda is talking about Kim. Alison surprises the contestants with a Hawaiian themed pop challenge. Winner of the challenge gets a one pound weight advantage. Chris is hopeful, realizing she's the queen of useless trivia. Q1 - How many miles does it take to complete an Iron Man competiton? Answer: D - Answered correctly by Chris, Kim and Buddy. Q2 - Which of these vacation drinks has the most calories? Q3 - Which dish has the highest amount of fat per serving? Q4 - How many calories does a person burn surfing 1 hour? Results are Kim & Chris at 3, Buddy, Conda, Jeremy, Megan and Mark at 2 and Kimmy with 1. Tie-Breaker - If you indulge yourself on 24 chocolate covered macadamia nuts, how many calories will you have consumed? Closest to the right answer gets the one pound advantage. Answer: 1320 - Chris wins the one pound advantage. Later, Dolvett offers smoothies to a few of the contestants, but offers up a challenge for them. Sitting on the sand, they are to raise their feet off the sand and keep them off. The first person to drop their feet, will make smoothies for everyone using a bike powered blender. Out of Kim, Buddy, Kimmy, Jeremy & Mark, Jeremy is the first to drop his feet. Jeremy wonders where he can find this product, and Kim agrees she could drink one of these every day. Dolvett informs them the Yoplait Chocolate Banana smoothie mixes can be found in any groceries freezer. They are good and good for you. Pick some up today! (Okay Yoplait, when do I get paid)? Dolvett is worried about Kim and pulls her aside because he's seen a change in her. She confirms his believe she is feeling isolated and alone. She also admits the other girls are willing to take things easy because they are on vacation. Though she initially agreed with them, she admits to Dolvett she's ready to break out of that thinking. Unlike the other girls, she's going to fight to stay on Biggest Loser. If she does not fall below the yellow line, she'll be safe. For the next challenge, Alison has the contestants gathered on a large hill. Further down the hill are various posts with lei's of different colors. The object of the challenge will be to collect one specific color of lei's, run back up the hill, then place the lei's on other contestants "tiki's". Once a contestant has 10 lei's on their tiki, they are out of the challenge. There will be one black 'death lei' which will automatically eliminate someone. The last person standing will win immunity for the week. Buddy is the only one who is going to be unable to play because of his injury. The first person targeted is Kim as she does her best to try and knock Chris out. Then Kimmy finds the death lei and instead of putting it on someone who has no lei's, puts it on Kim. Kimmy reminds people everyone signed up to play this 'game'. Chris is the next to be taken out. Jeremy, Conda and Mark all team up to take Megan out next. Conda refuses to call it an alliance, she prefers to think of it as a 'friendship. Next, Kimmy is targeted, but Jeremy makes a plan with Kimmy to not put a lei on her's if she doesn't put one on his. She agrees and they put a few on Mark, but Conda takes Kimmy out. With just three people left, Conda and Jeremy conspire to take out Mark, but they are going to make him work for it. Instead of taking him out right away, they make him run up and down the hill. Finally Conda tells Mark to put a lei on Jeremy's to put him out, because Mark only has one left to go. Instead of giving it to Jeremy as instructed he gives it to Conda because Jeremy is trying to let her win. Finally they realize he needs to be taken out and finish the job. Jeremy then lets his sister finally take him out. For the next weigh in, the contestants are at Pearl Harbor. With the mememorial of the USS Arizona behind them, and the USS Missouri in front of them, they are called up to weigh in. Conda is reminded, if she gains weight her immunity will be void. Kim 176 171 -5 2.84 "I like myself more and more every week." Jeremy 273 266 -7 2.56 "That's what I needed. I gave my sister immunity, I just earned immunity." Chris 177 174 -3 2.26 "With my one pound advantage, I hope it's enough." Buddy 281 -275 -6 2.14 "Two weeks in a row I've been severely restricted. And I'm still staying above the yellow line." Conda 221 217 -4 1.81 "You can lose weight on vacation." Megan 198 195 -3 1.52 "3 Pounds is not what I wanted." Kimmy 219 217 -2 1.23 "I'm happy with 2 pounds"
For the elimination, the contestants are gathered on the USS Missouri. Kimmy tells everyone she wants to go home and asks to be voted out next. Emily reminds everyone that last week everyone voted out Emily because it was a good strategy move, so voting out Kimmy would not be a good strategy move. She tells the rest of the players, if they are truly playing for strategy, they would vote Megan out. Kimmy tells Alison she's sure here friends will vote her out instead of Megan. This week, three votes is enough to send Kimmy home. Chris cries and says she'll miss Kimmy. Kimmy thinks maybe she'll just miss doing the dishes alone. Having started the Biggest Loser journey at 219 pounds, Kimmy is now at 154. She hopes to one day open and run her own therapeutic horsemanship facility. With only 9 contestants left, Alison announces they are no longer teams. The Biggest Loser has now reached the singles stage. Everyone is going to be working for their own, and the yellow line at weigh in is back. Kim earlier stuck up for Cassandra when she was voted out, so now feels like a target. Having been teamed up with Kim at the beginning of the game, the two are going to continue to work together but realize they have to stay above the yellow line, or one of them is going home. For the first challenge, the contestants are brought to an ice rink. As an individual game, they will need to start believing in themselves, and that will start with standing on their own two feet, as Alison points out. They are all tied to a ring in the center with buzzers for each contestant on the outside of a larger circle. The contest will continue in rounds, each one ending when another contestant has hit the button. There are nine prizes to win, the winners get to pick last, and the losers must choose first. But when a person picks a prize, they are given the opportunity to keep it, or trade for someone's prize already won. Because of a stress fracture on his tibia, Buddy will be unable to play and immediately earns 9th place. The game begins and no one seems to be doing very well, Kim even falls and hits her head on the ice, but gets right back up. Finally Conda realizes in order for her or her brother to win, they will have to work together. She works with him so he can hit his buzzer, winning the the first place of the first round. When the second round begins, Kim is shocked to learn Mark, along with everyone else, seem to help Megan win the second place. Mark claims he's helping Megan to get a bit of a break. The third round begins and Mark has taken advantage of the short break. With Chris' help, he easily wins the third place prize. During the fourth round, it's a battle between Kim and Conda, but Conda is able to earn the fourth place prize. The fifth place begins with Kim, Kimmy, Emily and Chris. Kim starts off strong, but stumbles giving Chris the wedge she needs to pull the others to her buzzer. Chris wins the round in under a minute. With Emily and Kim the last pre-singles team left on the ice, they easily pull Kimmy to Kim's buzzer to end the sixth round. The seventh round is only between Kimmy and Emily now and Kimmy feels she'll lose for sure. But she digs in and gives it her all, winning the seventh place. This makes Emily automatically earn the eighth prize, she feels embarrassed. Time to pick the prizes and Buddy, being in ninth place, gets to pick first. Each of the prizes are hidden in boxes, so no one knows what they will get, till they open the prize. As luck would have it, he opens a box with a Biggest Loser hat in it. Unless there are some awful gifts, he's certain the hat will be his at the end of the prize selections. Emily's turn to pick and she wins a phone for a day. As much as she would love to keep it, she's certain it'll be stolen away by someone else. Kimmy's selection is an autographed photo of Alison Sweeney. Kimmy opts not to trade it in, it's coming home with her. For Kim's gift, she picks a box of chocolates. She would love to take the phone from Emily, but knows she's going to need it and selflessly keeps her chocolates hoping no one else will steal the phone away from Emily. Chris' prize is a one pound weight advantage. She's also certain her prize will be stolen away, but opts not to trade. Conda's prize is cold hard cash, a one dollar bill. She trades it for the one pound advantage. Next Mark opens a prize giving him two votes at elimination. Alison reminds him it's only available if he stays above the yellow line. Realizing the power it holds, he decides to keep the prize. Megan is surprised to find a live goldfish in her prize. As much as she loves her fish, she trades it for Conda's one pound weight advantage. Finally, the last prize is given to Jeremy. It turns out to be shopping with a celebrity, with the advantage of bringing someone along. Emily tempts him by saying someone is on the phone for him, but he decides to trade it for Conda's goldfish. He realizes she'll appreciate the prize much more than he will. Thus ends this white elephant themed game. The next half hour of the 90 minute condensed episode consists of the contestants working out, where Dolvett gives special attention to Kim and Bob gives his attention to Emily. He works with her in weight lifting training where she's training him. He's trying to help her believe in herself once more. He's afraid she's going to allow herself to fail and fall below the yellow line. Later, as Jeremy is eating and keeping an eye on his goldfish, Conda is preparing for her shopping trip. She has chosen Kim to accompany her and they two get to shop with Jessica Simpson. The girls are ecstatic. But Jeremy wins a prize of his own. While Conda is gone, Rachel visits the Biggest Loser ranch. She's illustrating the highlights of Progresso soup. Jeremy observes the last time they met, it was like a 'date' with Rachel and now she's making soup for his. He believes his relationship with Rachel is progressing. In a touching moment with Dolvett, Kimmy relates how she turned to food. As a child, her mother was schizophrenic and realistically unable to provide adequately for her own children. Kimmy began feeling like the mother of the house at eight when her mother many times refused to let the kids eat, thinking it would purify their body. As she got older, Kimmy began to make sure there was enough food in her own house. It was a psychological move on her part, to feel secure. To give her more confidence in herself, Dolvett takes her wall climbing, to help her get over her fear of heights. Mark 213 / 204 / -9 / 4.23% "YES, Come on. Love it!" Chris 184 / 177 / -7 / 3.8% - "Wow, I haven't been in the 170's in years." Megan 204 / 198 / -6 / 3.43% - "I'm in wonderland." Kim 182 / 176 / -6 / 3.3% - "I'm really happy with that number." Conda 228 / 221 / -7 / 3.07% - "I'm happy, seven pounds is great for me." Buddy 289 / 281 / -8 / 2.77% - "That's awesome." Kimmy 167 / 163 / -4 / 2.4% - "Wow, I wasn't expecting to do that well." Emily 195 / 190 / -5 / 2.40% "It's weeks like this that blows the wind out of your sails." Emily is voted out, but is using her time off the ranch to improve in her next ambition, to be a signer. She reaches out to Olivia from Season 11 who meets with her to help her meet her goal. Since her Biggest Loser ranch, she's gone from a weight of 264 to 174. Additionally, she's hoping to win the home prize and use the money to move to New York City. But don't tell her friends and family, they don't know yet. The morning after Chism has been eliminated, Alison gathers both teams. She has come to inform them they are having their trainers switched. The Black Team will now have Dolvett, and the Red Team will have Bob. To top things off, whichever team wins the weigh-in, will be the only ones voting. The entire Black Team seem devastated. Emily says she she has little faith in herself and Cassandra is close to freaking out. Bob is delighted to see the Red Team show up for a workout. He's ready to break them out of their comfort zone as soon as possible. The Red Team are ready to accept the challenge but the Black Team, except Conda, are despondent. Dolvett is shocked by their lack of enthusiasm. Chris is anxious over Dolvett's 'drill sergeant's approach. Noticing Emily's disposition, Dolvett wants to push her past her fears. He makes her run a 10 on the treadmill for 30 seconds, which is something she thought she couldn't do. In a quiet moment, Bob is talking with Buddy about the daughter he lost. Buddy tells about the first ultrasound his wife and him received where they discovered something wrong with their unborn child. It was found she already has problems with her stomach and heart and missing a kidney. The way the Doctors talked to him, Buddy got the feeling they were suggesting to abort the baby as a humane gesture; Buddy opted not to do. After she was born, she remained in the hospital for six months and had 10 brain surgeries within that time. On the final day, Buddy knew something was wrong when he entered the hospital room and saw a room divider surrounding his daughter. He knew then his daughters fight was over. He held her for the last time and realized he had no way to pay for her funeral. Feeling like a failure, Buddy turned to eating as a means of escape. In a change of strategy, Dolvett decides to take his team to a ballet class. In order to prove to them they need to break out of their comfort zone, Dolvett dresses up in ballet gear as well, including the ballet shoes. All the girls seem okay with his outfit. The girls are shocked to learn how difficult ballet can actually be. Dolvett admits he's feeling like one of the girls. And now for something completely different, it's time to get down and dirty. 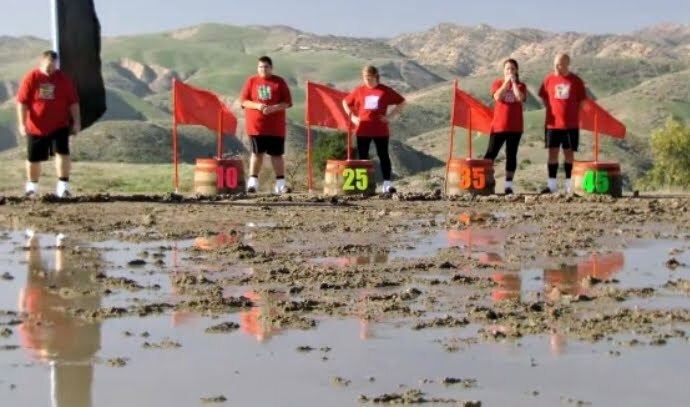 For the challenge, each team is brought to a giant mud pit outside. Inside the mud pit are hidden weights ranging from 10 - 45 pounds. There are 40 weights in total. 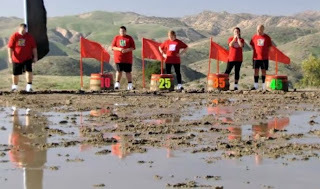 For each team, only one person can be in the mud pit at any time, so each team member has to move as quick as possible. Winners of the challenge receive a two pound advantage. Black team, consisting of all girls, realize how much they are going to need to win. Megan scores first from the Black Team but the Red Team soon passes them as Emily begins to struggle. Kim finds a few while she's out and pulls it up slightly for the next person to come get. This strategy secures an easy win for the Red Team, giving them the two pound advantage. Kimmy is so happy she runs and gives Alison a hug, despite Alison's protests. Earlier in the day, Kim, Cassandra and Emily were worried about being targeted next. Their solution is to approach Conda and suggest an all girl alliance. Without haste, Conda tells Buddy on the Red Team. Buddy is surprised considering Conda still has a brother on the Red Team. Buddy then tells Mark and Jeremy and they conspire who they are going to target at the next weigh in. Conda has already confirmed the rest of the Black Team is stressing this week and will likely lose the weigh in. Mark 215-213 / -2 "Yea, I'm not pleased with that." Buddy 294-289 / -5 "It's not so good." Kimmy 169-167 / -2 "That's better than none." Jeremy 289-282 / -7 "I've had worse weeks." Before the black team weighs in, Emily admits to everyone "I don't think we're going to do it." Dolvett is shocked, thinking he made some great progress with Emily over the week. Cassandra 175-172 / -3 "That's not great at all." Chris 185-184 / -1 "I was not thrilled about the change this week. The stress got to me." Megan 205-204 / -1 "I could lose one pound taking a poop." Emily 199-195 / -4 "It's not what I wanted." Conda 231-228 / -3 "I felt like I'm back." Red Team has won the weigh in and will now vote someone off the black team. The only person safe is Emily who has won the Biggest Loser for the week. As typical, the Red Team is given an hour to decide who to vote for. They listen to everyone on the black team, but Jeremy is worried because of the threat of the 'all girl alliance'. Cassandra says she still needs to be on the ranch because she's not ready. Chris wants more time because she feels her journey didn't start till Roy left, when she had to learn to stand on her own two feet. 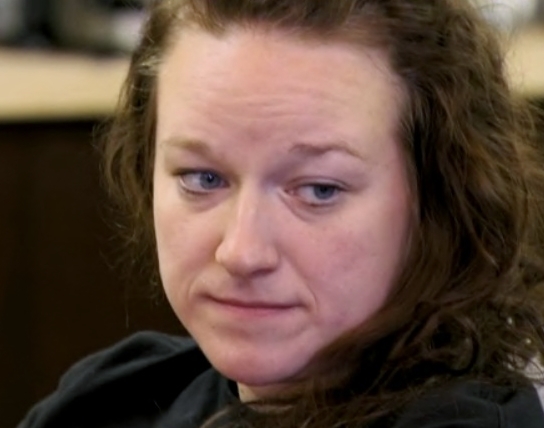 Megan says she needs to stay or she's doomed to fail. Emily feels Cassandra deserves to be here and Kim actually backs her up and says she'd rather go up against a competitor instead of people sliding by. Conda doesn't buy it, she thinks Emily is just playing the game and would just as soon vote out Jeremy or Mark if it suited her. Cassandra is hurt she is going home but Kim tries to encourage her by mentioning why the others voted her out. They consider her a threat, and she needs to remember that. After Biggest Loser: Cassandra is in New York and looking for an apartment. She also has a job interview with Condé Nast Traveler, which she feels has gone well. After the finale, Cassandra will return to New Yor for a second interview with Condé Nast Traveler. In the most recent episode of the prime-time drama series 'The Biggest Loser'; daytime soap star Alison Sweeney sent the teams home. 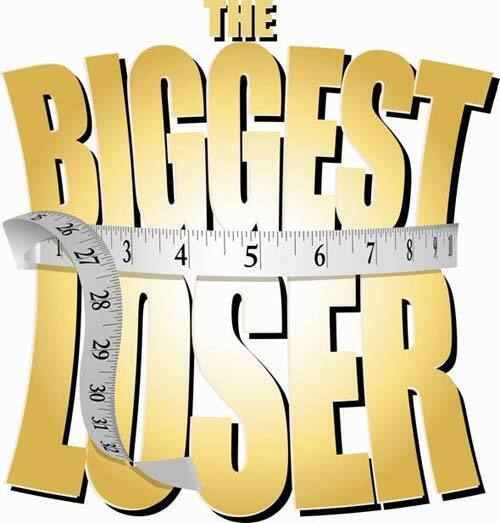 In the wink of an eye, the show transformed from the Biggest Loser Prime-Time Drama Series, back to The Biggest Loser-Reality TV Show. So what happened? For the first time this series, the contestants were separated and focus was moved back to what's been missing this season; inspiration. Instead of the drama filled aspect, we watched as the contestants competed against each other, found focus for their weight-loss goals and motivated each other. Gone was the bickering and arguing and camaraderie was at an all time high when it was revealed Chism was the one to go home. But will this continue to be so? I find it highly unlikely, considering last weeks report of the contestants walking off the show in protest of a new twist which will allow previous contestants to come back and compete for the top prize of $250,000. It seems the series may once again degrade back to the Prime-Time Drama it has been this entire season. So what can be done? I think it's high time the producers do whatever they can to save the show. If that's indeed what they want to do. One of the number one ways this can be done, according to others on Twitter, is bringing Jillian Michaels back. But after having left the series already, would she come back? Or does she consider the Biggest Loser the biggest loser? It's always been my thought she'll one day come back. Primary reason involves an article of last year where she was quoted as saying, "I want to start a family. I'd like to take a year off of television ... I'm in the middle of the adoption process... putting all my energy into that for awhile... And then back to TV later in 2012". So is returning to the Biggest Loser beyond unreasonable to consider? It might be interesting to note the tweets from both Jillian Michaels and Bob Harper of February 29th, 2012. "@MyTrainerBob - I was working with @jillianmichaels today. Love!!" "@JillianMichaels - Look what the cat dragged in! The team's back together again. Me and Bob Harper in the studio for an upcoming podcast." What could the two be talking about? Perhaps they'll release information that they'll be working together again soon? Won't it be interesting to listen to her podcast with Bob Harper when it's available. So what do you think? Would you love to see Jillian Michaels return? What are your thoughts? We (at least I) can only hope next season begins with Patrick Duffy in the shower, relieved to find out Biggest Loser 13 was only a dream, and Jillian Michaels is still on the show. It's a strange new week for the Biggest Loser, and Alison picks up exactly where last week left off. It's still the elimination room and Alison has the Red Team join the Black Team. She informs both teams they are going home. But it won't be a few simple days. Each contestant is going home for 18 days. However, there WILL be a weigh in almost as soon as they come back. To motivate each contestant, she offers immunity to ANYONE who can lose 5% of their current body weight. Even if the team loses, immunity will still be an option. So if everyone can lose 5%, no one will go home. Alison breaks it down to how much each will need to lose in order to have immunity. Immunity Targets: Jeremy 16, Chris 10, Mark 12, Kim 10, Emily 11, Megan 11, Kimmy 9, Cassandra 10, Conda 13, Chism 13 and Buddy 16. After Alison's prompts, the contestants leave the elimination room and head home. The next ten minutes, video is available of each team making it home and greeted by friends, family and former team-mates. But the welcome home is short lived as a DVD is provided for each contestant. Of course, it's Alison who has an immediate challenge. The Biggest Loser has provided a rowing machine for all still in the game. The challenge will be make 10,000 meters before anyone else. The winner will win one dollar for every meter they row. That's a total of $10,000. The winner will be announced when they get back to the ranch. Everyone is ready for the challenge, but from the off-set think Emily is the biggest competitor. Jeremy believes he's got a strategy by going easy at first, then giving his all to make a come-back. His sister Conda hopes to win so she can embarrass Jeremy in front of all his friends. Chism, Kim, Mark and Emily start off leading the pack. In the middle of the pack are Conda, Jeremy, Megan and Cassandra. Those at the bottom of the pack are Kimmy, Buddy and Chris. Chris and Conda start struggling and have to rest for a bit, but both want to at least finish the challenge. Everyone finally finish, but the winner is not revealed yet. 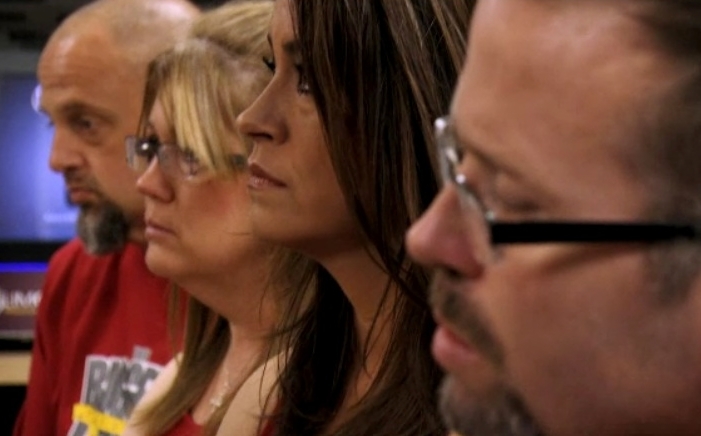 The rest of the episode is filled with each contestant as they struggle at home, amid countless distractions such as family and friends. A few even tempt themselves by seeing if they can give up on some of the food they once loved and ate regularly. Emily wanders into a bakery and practically drools over all the sweet treats, but opts to go with a hot tea as her friend orders a fruit tart. Buddy visits a fast food restaurant he used to frequent and orders a hot dog, soda and fries. He smells all the food and ponders eating it, but he decides to throw it all away instead. Jeremy is out spending time with his friends but instead of beer, opts for water and instead of some of his favorite meals the rest are eating, he eats simply. Chris has another distraction, she's looking over all the problems in the house that need work. For Cassandra, she's a baker and bakes her favorite peanut butter, chocolate kiss cookies with her family. She samples the smallest bit of dough and limits herself to only one cookie. It's a difficult task for her, but she's successful. She only eats one cookie and savors each bite. She gives the rest of the cookies to everyone else. As everyone else is being tempted, Chism is spending time with his girlfriend and hanging out with his band. He performs a few numbers with his group but wants to make sure he gets back to working out. The contestants make it back to the ranch and are given a last chance workout. Dolvett says he 'missed them', meaning he has missed inflicting pain. Bob actually proves the point as he has Chris on the ground gasping for breath. She appears to be in trouble, but soon catches her breath and continues on. *Buddy 317 / 294 / -23 "I don't even know what to say right now. I'm beyond words." *Jeremy 309 / 289 / -20 "I did this at home by myself. I don't fear going home now." *Kimmy 179 / 169 / -10 "I got a double digit. Oh my god!" Mark 226 / 215 / -11 "@#$%!" Kim 193 / 186 / -7 "I'm not happy about that number at all." * Has met their 5% and are immune. *Conda 245 / 231 / -14 "Like Kim I have to find my balance between working out and being a mom." *Emily 216 / 199 / -17 "That is exactly what I wanted." *Megan 217 / 205 / -12 "I'm starting to be more confident." *Chris 196 / 185 / -11 "That feels good. That feels real good." *Cassandra 188 / 175 / -13 "All right! I really did not want to be the one to go home." The weigh in room is silent as Chism's results are revealed. His team needed 15 pound to win the weigh in and he need to lose 13 to win immunity. His dad breaks down and demands he take Chism's place to go home. Chism tells Mark he wouldn't live with himself if his dad goes home but Mark stresses he is 43 and 215 pounds and his son needs to be there. Chism reminds his father he has no control. Mark's rebuttal is to ask for two plane tickets because if he can't take his son's place, he's going home too. Chism tells his father if he receives a second plane ticket home, he's going to throw it away. Though he realizes it's going to be harder at home, he does not want his dad to leave, just because he has to go. Mark finally relents and Dolvett tells Mark what a great son he has. Alison hugs Chism, followed by everyone else. Mark quietly walks his son to the door. Let's pause for a second so I can tell you what you are NOT going to hear. Being an article devoted to the Biggest Loser, you might think the story ends 30 years later with an obese person swearing off ice cream forever. That, however, is not the case. You see, I'm using an analogy. The little boy is me (or someone very similar to me [maybe you]), and the ice cream is one of my favorite shows; In this case the Biggest Loser. The days refer to seasons, and his new friends are the contestants. Now that I've cleared that up, let's proceed. ... something very strange happened. The flavoring of the ice cream was wrong. No longer was it satisfying and refreshing. Now the ice cream was bitter and left a bad taste in his mouth. To make matters worse, the ice cream parlor was now filled with bullies. The great number of people who used to visit the ice cream shop with the little boy, stopped coming. The once great ice cream parlor, was now just a shadow of it's former glory. Stepping back from the analogy once more I have to address what is the problem here. It's as if this 'ice cream' parlor is under new management. The steps they are taking are just not working, and it seems the new manager is not doing enough to protect his investment. Same thing for the Biggest Loser show. Have the producers passed this project on to people who just don't care anymore? What once used to be about encouragement, motivation and determination; has been replaced with catty, game-playing, drama. Instead of inspiring positive change in people, it's inspiring negativity. For example, there is the I Dislike Conda page, as found on Facebook. Personal bloggers have nothing but negative things to say; as can be seen in Foster Fitness's article, "Why I am Breaking Up With the Biggest Loser"
@HazelzWorld - "just cancel the show. I wont miss it. Conda makes it easy 4 me to not watch"
@RunonAwesome - "WTF people?! I'm sitting here getting ready for some vile #BL13 tweets and everyone is giving up on the show!? At least the tweeting is fun!" So with all this negativity, what can be done? Maybe it's time the producers went back to what worked. Using encouragement, optimism and inspiration. It would also help if they did what they can to bring Jillian back. She would NOT have stood for any of this foolishness. Or maybe she saw the handwriting on the wall and got out while she could. I can't be the only person who wishes Jillian would come back. As another example check out Facebook's 'Bring Back Jillian Michaels' page. I truly hope something can be done. Because I want my cool refreshing ice cream back. I want to meet great new friends, NOT BULLIES. I want my ice cream parlor back. 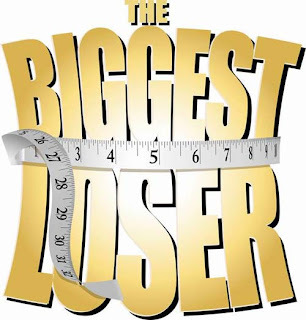 I WANT BIGGEST LOSER BACK! Could Kim Lyons Replace Jillian on The Biggest Loser? Which Contestant Needs To Go Home To Restore Peace And Sanity To The Biggest Loser Ranch? Who is your favorite Biggest Loser Season 13 Contestant? Of the remaining contestants. Who do YOU want to win? Thinking of changing my Blog name. What do you think? Vote for as many as you like. Who is your favorite Biggest Loser Season 12 Contestant? How effective do you expect Anna Kournikova to be as a trainer? If you were forced to choose a replacement for Jillian out of the following, who would it be? Let's say they all decided to leave the Biggest Loser. Who would you miss more? A-Z Fitness Has Ended, Now What?